Whatsapp messenger is smatphones messenger available for Nokia, Iphones, Blackberry and Android phones. Whatsapp uses your 3G or WiFi when available to message with friends, families and chat with them. You may be told about it before and probably you want to download it now on your Nokia phone. I am going show you simple but easy steps of downloading and installing Whatspp on your mobile phone. Some of items on your phone menu include things like calendar, contact, log, web, messaging, gallery, Nokia store, map, camera, setting, application, Network service you are using. Click on the Nokia store icon. Make sure you have browsing data or airtime on your phone. The Nokia store mobile webpage will open, this page contain list of application such as games, music, messengers and other different chatting platform like BiNu. If that’s your first time of visiting Nokia store through your phone menu, you may be requested to create Nokia account before you can begin the download. Quickly click on create account button, enter your email address, password, country and the confirmation code; accept the terms and conditions by clicking on I agree button. The whatsapp messenger may appear first among the list of application that will show up. It is free. Click on the whatspp messenger and a download page appear. 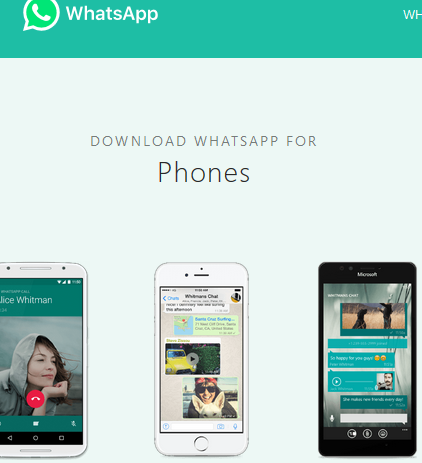 Click on download, after downloading whatsapp will be automatically installed among your application. Close or exist from the page. Open your application; the whatspp messenger icon will be there. Click on it, you may request to fill your information like your name, country, and phone number. Fill it and your done. If you have an Ipad, you can also download Microsoft software on your Ipad. Do you know that?